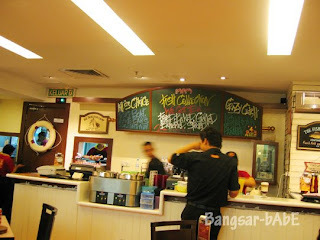 rif and I were in KLCC last weeked and had no idea where to eat. 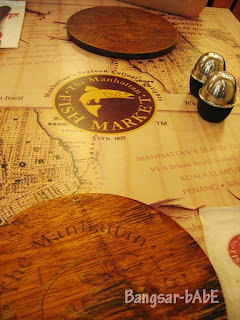 After giving it some thought, I decided on Manhattan Fish Market. Once seated, we asked the waiter how long would the food take to arrive as we were really hungry. 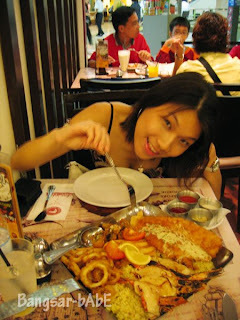 Lucky for us, it took about 15 mins so we ordered the seafood platter for two. 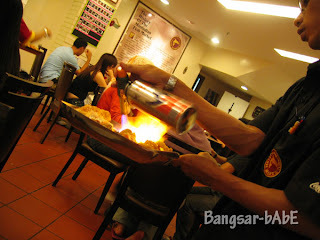 The platter is first flamed with a torch before serving. 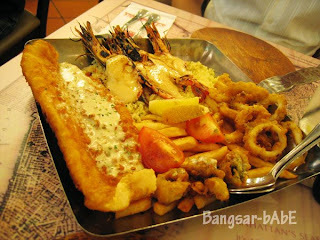 It consists of a dory fillet, calamari, button mushrooms (fried), 4 mussels, 4 decent-sized prawns, chips and garlic rice. The prawns were not very fresh but the creamy sauce on top made it less noticable. Verdict: Not bad…but not fantastic either and slightly on the pricey side.